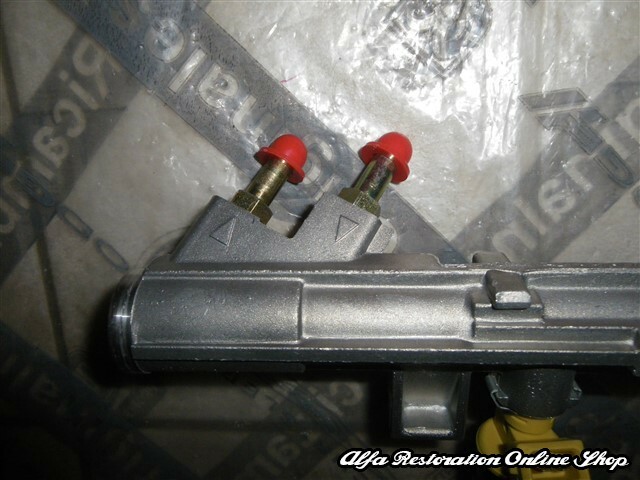 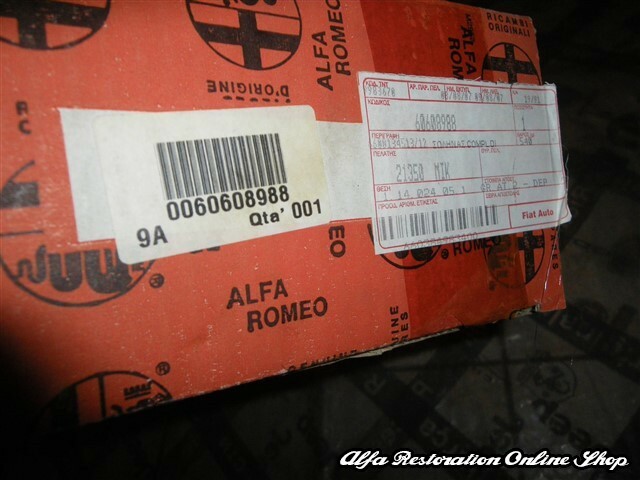 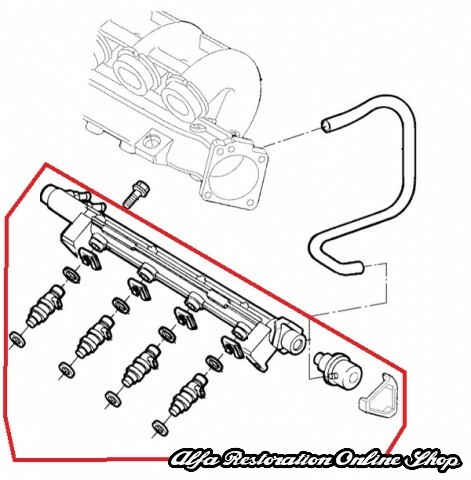 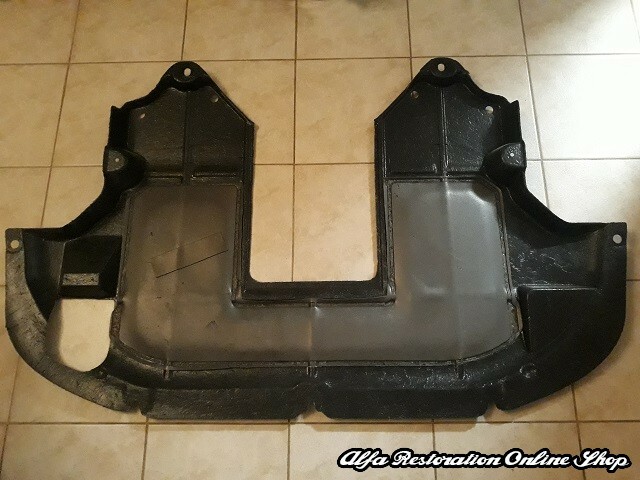 Alfa 145/146/155/156/GTV/Spider fuel rail. 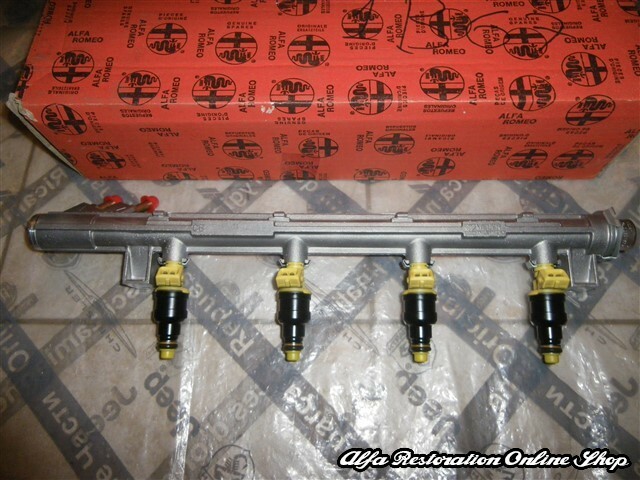 This is a brand new fuel rail including the fuel injectors and the pulsation damper. 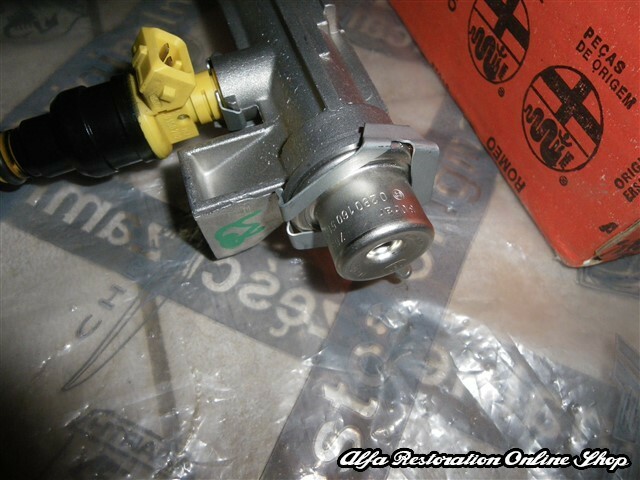 New old stock with OEM part number 60608988 or individual fuel injectors part number 7626715 or Bosch 0280150702.